“Researchers have developed a solution to a longstanding problem in the field of end-to-end encryption, a technique that ensures that only sender and recipient can read a message. Following Edward Snowden’s revelations about government mass surveillance, end-to-end encryption is now widely available through services such as Facebook’s WhatsApp. 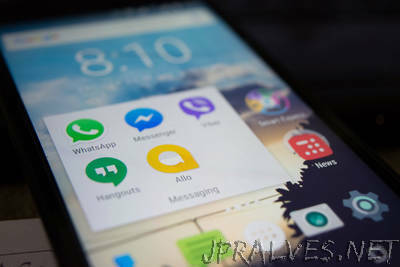 The approach uses pairs of cryptographic ‘keys’ for the sender to encrypt and the recipient to decrypt messages; anyone wanting to read your messages has to first hack into your phone to steal your latest keys. The attacker then performs a ‘Man-in-the-middle’ (MITM) attack, for example by taking control of your WIFI router to intercept your messages, and uses the stolen keys to impersonate you.